Back again with another 60 Second Beer Review, and this one is a really nice story! Some people are bagging out Golden Road because they have sold to Ab-Inbev, but let’s put that aside for a second and recognise this brewery for what it is…very good. Co-founder Meg Gill is a very talented brewer and also happens to be a very focussed, entrepreneurial, visionary woman. I love the story of this beer with 10% of profits going to clenaing up waterways in California, and it s a pretty ripping beer as well! 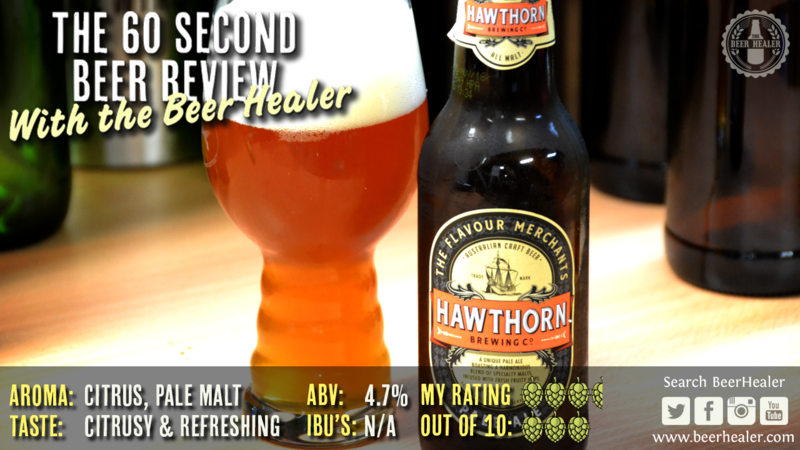 If you didn’t catch my video from last week, it was the Hawthorn Brewing Pale Ale. You can find it in the menu above, or click here. Anyway, check out my video below, but more importantly, find the beer and drink it!